The number of outgoing films targeting the Christmas holiday box office is too high in South Industries. In Telugu, 3 films should be released on December 21 and in Tamil, 5 films will be released. In Hindi, Shah Rukh Khan will arrive on December 21st with Zero and for New Year's Eve, Simbaa will be released on December 28th. 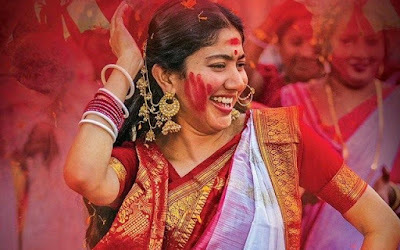 The interesting fact for December 21 is that Sai Pallavi has two films released in Telugu and Tamil. In Telugu, a film like Padi Padi Leche Manasu was released that day and in Tamil, Maari 2 is out. Maari seems to be a powerful commercial for Dhanush, once again taking the attitude of the sympathetic Don. We just learned that Padi Padi Leche Manasu has a good love story, but no trailer has been released yet. The published songs are slowly gaining on the buzz. Samantha, Kajal had such situations where their films in multiple languages ​​were released the same day. Now, Sai Pallavi has such a day. Let's see if his big film in Tamil becomes a huge success or if his modest budget love story in Telugu will work a lot. She could hope that both of them would become great hits and even her fans would love to see her play two different roles. But the release of Maari-2 Telugu has not been confirmed yet to the disappointment of its fans!